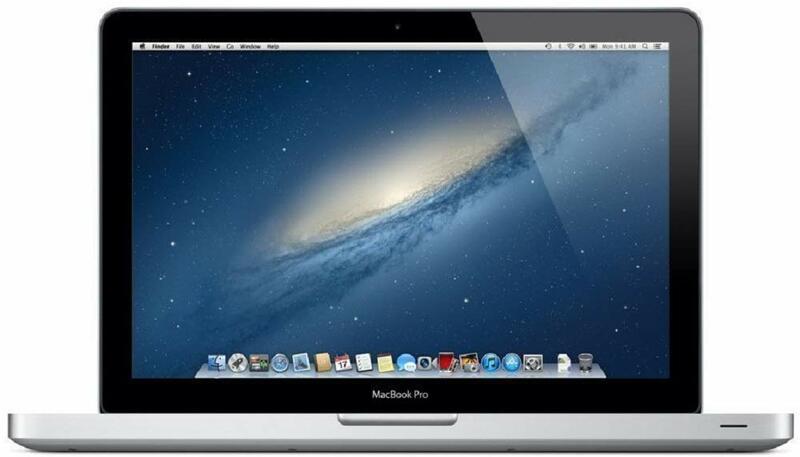 Apple Laptop Offers - Purchase Apple Laptop at Best Price from amazon. You can also choose EMI & Exchange Offer. Also get best apple laptop cashback offers from amazon. Choose from Macbook Air and Macbook Pro. Presently no bank cashback offer is running on amazon. How Does Exchange Work Via Flipkart? When we talk of extraordinary laptops, Apple laptops are there to fit in the frame of brilliance and powerful performance. MacBook elevates a notebook to a whole new level of the performance and portability. These laptops come with advanced graphics, high-performance processors and memory. Prices and Offers: The actual price of the laptop is Rs. 77,200. However, Flipkart offers 18% discount on this laptop. Therefore, the final price comes to Rs 62,990 which makes you save Rs. 14,210. You can get an additional discount of Rs. 7500 on the exchanging your old laptop. You can get a 10% instant discount on Mastercard for first online payment. Additionally, get an extra 5% off with an Axis Bank Buzz credit card. No cost EMIs start at Rs. 10,499 per month. Standard EMIs are also available. This sleek and lightweight laptop is powered by an Intel Core i5 5th Gen processor to make multitasking smooth and easy. It has a clock speed of around 1.8 GHz with a turbo boost of up to 2.9 GHz to deliver highly efficient and exceptional performance. This highly responsive and powerful device features an 8GB DDR3 RAM and 128GB SSD storage capacity. 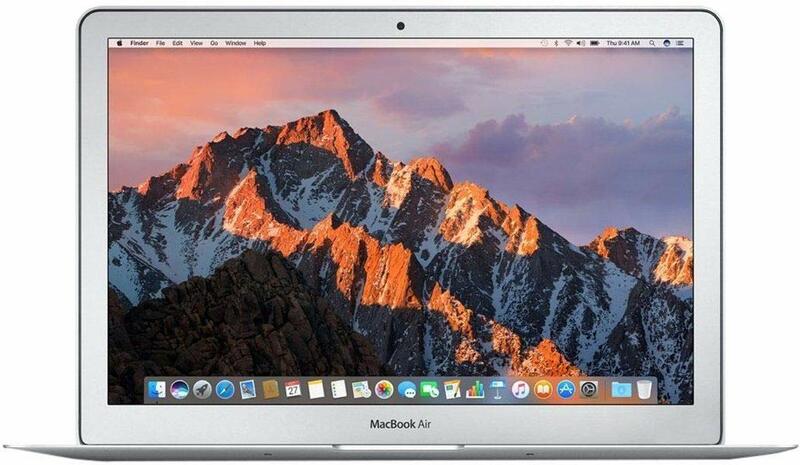 Apple MacBook Air Core i5 5th Gen supports IEEE 802.11ac Wi-Fi that offers faster wireless performance. With 1440 x 900-pixel screen resolution and LED backlighting, the laptop with its 33.78 cm (13.3) screen size enhances your viewing experience with its stunningly bright and vibrant colours. It is equipped with two USB 3.0 and two Thunderbolt 2.0 ports so you can easily connect your USB devices and share data at high speeds. This power-efficient MacBook Air offers up to 12 hours of battery life on a single charge. Its 64-bit MacOS Sierra makes everything you do, very smooth. Its strong privacy and security features ensure that your personal information is not compromised at any time. Price and offers: The actual price of this laptop is Rs. 92,500. Flipkart is offering a 14% discount which makes you save Rs. 13,510. Therefore, the final price of this laptop is Rs. 78,990. No cost EMI Rs. 13,510 per month. You can get an additional discount of 5% with Axis Bank Buzz Credit Card. Once you've decided on the laptop you wish to buy, you need to provide the details of your old laptop in the Exchange Offer form. Before you hit the 'Buy Now' option, check with your pin code if the Exchange Offer is available in your location. The exchange is possible on eligible pin code only. As soon as the order is placed, the new laptop is shipped. You can hand over your old laptop, which has to be in a working condition, to the field executive at the time of the delivery. If your exchange item does not qualify for pick up, you can still get your new product by paying an additional amount (equivalent to the discount that you got for your exchange item) in cash at the time of delivery of your new device. If you want to know whether your old laptop qualifies for the offer or not, you can check the list of eligible devices in the Exchange Offer form. 2. Model/Brand/Serial number/Processor specification mismatch. 3. Dead pixels, spots, lines or static on any part of the screen/display. 4. Crack on the screen, light emitting, watermark/liquid on Screen. 5. Crack on the panel, dents in the body and buttons missing. Apple MacBook Air Core i5 5th Gen is powered by an Intel Core i5 5th Gen processor and it has a clock speed of around 1.8 GHz with Turbo Boost of up to 2.9 GHz. Furthermore, with its Intel Integrated HD 6000 graphics processor, you can enjoy graphics-intensive tasks. 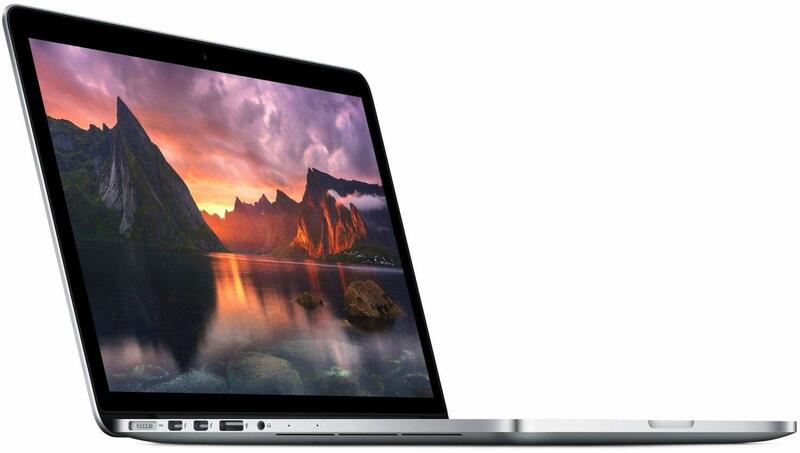 Moreover, Apple MacBook Air Core is packed with an 8 GB DDR3 RAM and 256GB SSD. Apple MacBook Air has a thin and sleek body and can perform tasks seamlessly. This fifth generation MacBook Air can make the tasks easier and ultra-fast, be it browsing the web, editing videos or photos. This laptop has a 1440 x 900-pixel screen resolution and LED backlighting and the screen will enhance your viewing experience. The smooth trackpad is quite spacious and responsive. You can swipe, click, pinch or scroll on its multi-touch trackpad. This power-efficient MacBook Air offers up to 12 hours of battery life on a single charge. You need to select your preferred EMI option at the time of payment. The final EMI is calculated on the total value of your order at the time of payment. The concerned bank charges annual interest rates according to the reducing monthly balance. In the monthly reducing cycle, the principal is reduced with every EMI and the interest is calculated on the outstanding balance. You may check with the respective bank/issuer on how a cancellation, refund or pre-closure could affect the EMI terms, and what interest charges would be levied on you for the same, which means in terms of cancellation or refund you have to contact the respective bank. Flipkart will not charge any processing fee for availing EMI option, however, the interest charged by the bank shall not be refunded by Flipkart. This offer is available only when the cart contains items from a single seller. Price and Offers: The actual price of this laptop is Rs. 1,04,900. Flipkart is offering a discount of Rs. 1000. Therefore, the final price of this laptop is Rs. 1,03,990. No cost EMI Rs. 17,332 per month. It is powered by Intel Core i5 7th Gen processor and it has a clock speed of around 2.3 GHz with Turbo Boost of up to 3.6 GHz. Furthermore, it is equipped with an Intel Integrated HD 6000 graphics processor. Moreover, Apple MacBook Pro is packed with 8 GB DDR3 RAM and 128 GB SSD. Apple MacBook Pro Core i5 7th Gen, stylish and a portable laptop has a 2560 x 1600 pixel screen resolution. You can swipe and scroll on its multi-touch trackpad. This laptop offers up to 10 hours of battery life in a single charge. Price and Offers: The actual price of the laptop is Rs. 1,21,100 and Flipkart is offering a discount of Rs. 1110. Therefore, the final price of this laptop is Rs. 1,19,990. No cost EMI Rs. 19,999 per month. It is powered by an Intel Core i5 7th Gen processor and it has a clock speed of around 3.6 GHz with Turbo Boost of up to 3.6 GHz. It is equipped with an Intel Integrated Iris Plus 640 graphics processor. Moreover, Apple MacBook Pro is packed with 8 GB DDR3 RAM and 256 GB SSD. Its 64-bit MacOS Sierra operating system features an entire suite of impressive and powerful apps. This laptop is equipped with 720p FaceTime HD camera and full-sized Backlit Keyboard. The built-in apps include Siri, Safari, App Store, iMovie, GarageBand, Keynote, FaceTime, iBooks, iTunes. The price of the product is 2,26,000. Flipkart is offering No Cost EMI with Rs.37,667 per month. The MacBook Pro delivers a power-packed performance. With a powerful 2.7 GHz Intel Core i7 processor with turbo boost up to 3.6 GHz, the MacBook Pro can handle any task smoothly. It has a 16 GB DDR3 RAM and a 512 GB SSD. With a 38.1 cm Retina Display, this laptop delivers brighter LED backlighting and an increased contrast ratio for stunning visuals. The specially designed keyboard features second generation butterfly mechanism which is a newly introduced feature that enhances precision in typing. Above all, this laptop supports Thunderbolt-3, an ultra-versatile port that integrates data transfer. It offers up to 40 Gbps transfer speed.